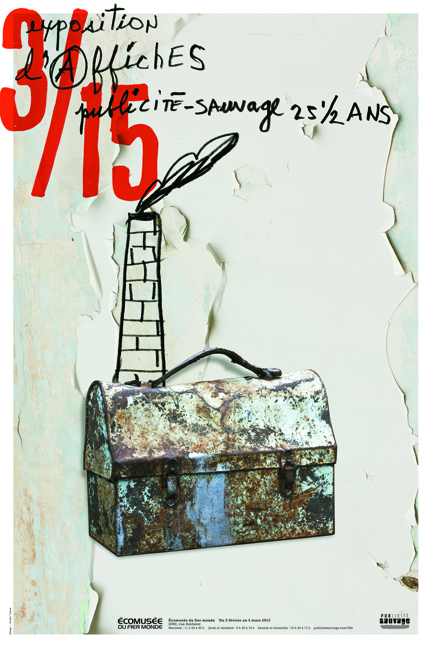 Last week, I talked about Publicité Sauvage’s 25-year retrospective and mentioned their exhibition at Café Campus. Their third installment is at the Écomusée du fier monde where one can see 40 social, community and political posters encouraging us to take action for a cause or to promote change in our society. Some of these posters go straight to the point with their message while most show the viewer that it is possible to illustrate a committed language in a beautiful and harmonious way. The works are on display until March 4th. To learn more about the Écomusée du fier monde, please visit their website.